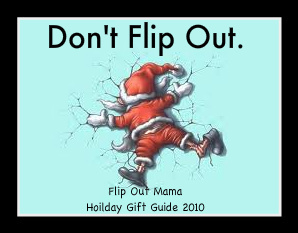 Flip Out Mama: Holiday Gift Guide: Thirty One Gifts GIVEAWAY!!! Okay, y'all, today I'm going to tell you guys about one of my very favorite companies. Most of you have probably already heard of Thirty-One Gifts, and if you haven't, you will be a fan by the end of this post! 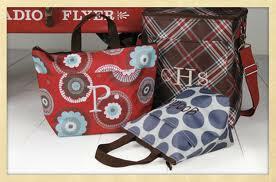 Thirty-One is a direct sales company, but not like other direct sales companies. 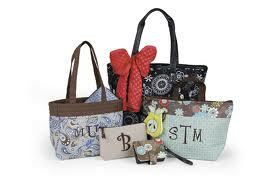 Thirty-One offers a huge variety of stylish, adorable purses, bags, and gifts. Their products are very affordable, fashionable, and make the perfect gift! And if their gifts weren't the absolute cutest things before, you can personalize them too! My good friend Bonnie is a Thirty-One consultant, and she has generously offered to give away a $25 gift certificate (to be used on any order placed with her, of course!) to Thirty One Gifts to one lucky Flip Out Mama reader! There are SO many great things you could get with this gift certificate, for yourself or for a gift! Here's how to win! Go HERE and check out the catalog. Leave a comment telling me what product you would use the gift card for if you win! Contest will end on @ approx. 10pm. Winner will be chosen via random.org and will have 48 hours to email me back or a new winner will be chosen. Open to USA only, sorry. Please don't be a cheater. I would love to have the cindy tote. I really like the cupcake carrier. 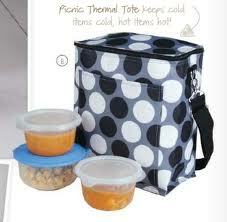 I would get one of the thermal lunch box totes! Those are so cute! I have a friend at work who has one from thirty-one! I think I would use it on the demi purse #3328. I like the black and white design. 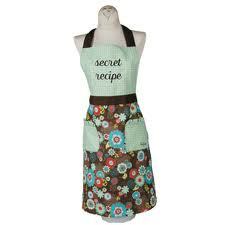 I would get the Hostess Apron for my mom. I would have to spend a little of my own money and get a card caddy. Those are adorable! I would love the apron or some more skirts for my purse.... Absolutely love 31 product! Thanks for the chance to win! I would get the fold and go organizer! I would choose the Wristlet Wallet. It is just what I need. Thanks. I love the Hostess Apron. Would look so much better than the ugly, old stained white one that I wear. The hard case wallet looks really helpful! I choose the picnic thermal tote! I like the icon coin purse in owl. I entered the Galstanberry girls giveaway. 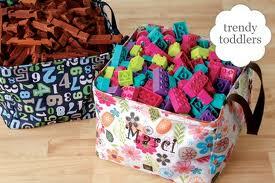 I'd get the Organizing Utility Tote. I like the laundry tote. 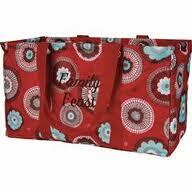 I would probably get the Thermal Zipper Tote with the pink dot/flower design product #3000 for my mother in law. We aren't exactly close, but this is one gift I think she will enjoy as she is a teacher and always carries her lunch. This particular lunch box is also feminine enough to please her. I really love the fair isle scarf that they have!! I like the Demi Purse in Peacock Paisely. 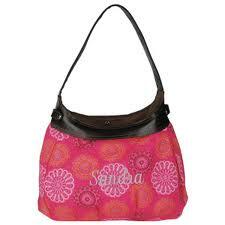 I would choose the floral fanfare purse. I choose the picnic thermal tote. I would get the Demi Purse! I like the garment bag. I would get the blue paisley demi purse. I would get the Mini On-The-Go Organizer. I Joined Flip Out Mama on Facebook. I like the Cindy Tote!